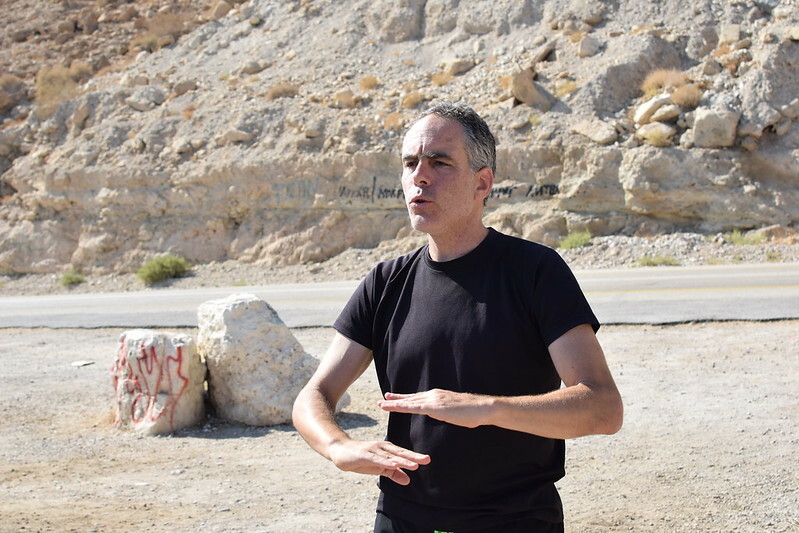 On my second day in Israel, I chose to book a tour with Abraham Hostels. 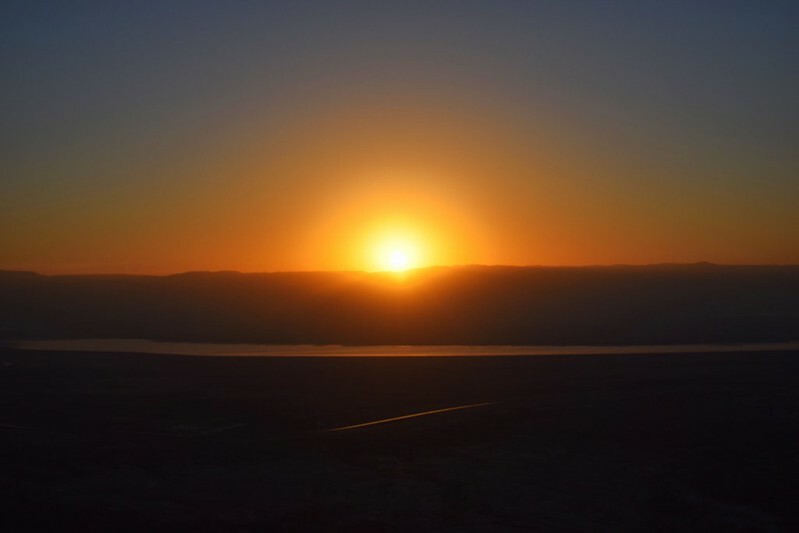 The tour visited the Masada, Ein Gedi, and the Dead Sea. 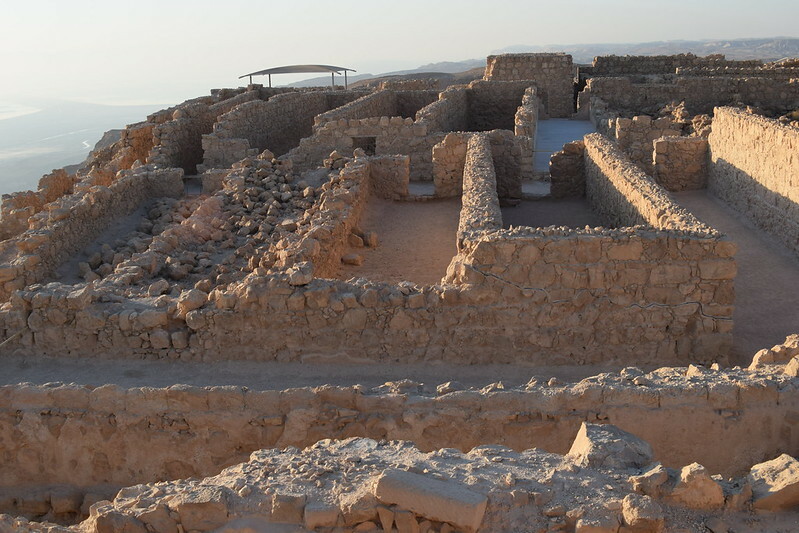 The Masada is an ancient fortress built by Herod the Great in the 1st century BC. 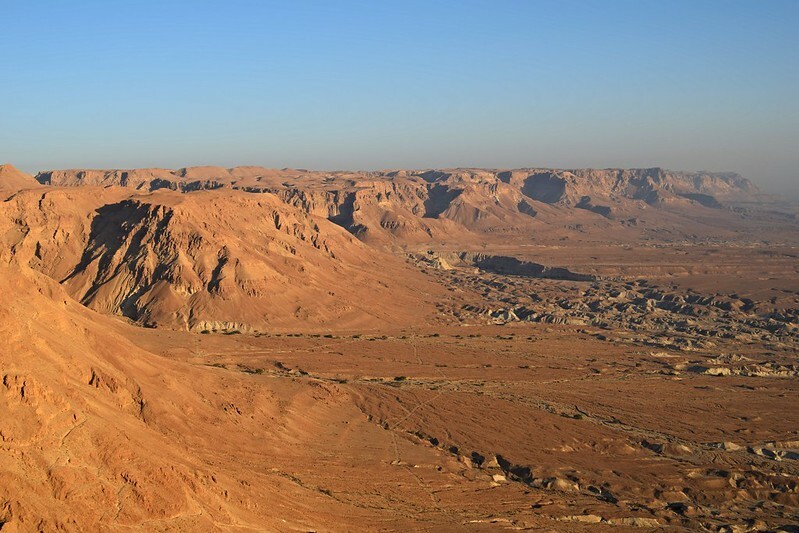 It is located in the Judean desert and overlooks the Dead Sea. 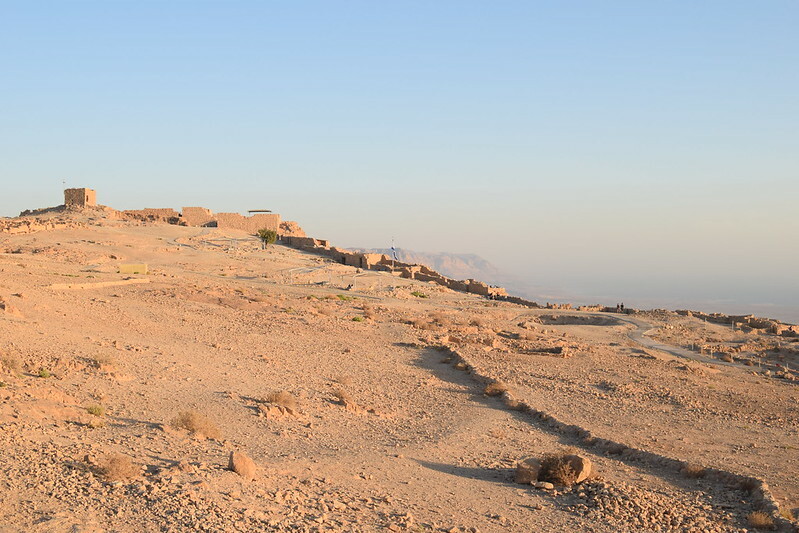 On the plateau of the Masada are two castle ruins, which Herod built to use as a refuge, in the event of a revolt. 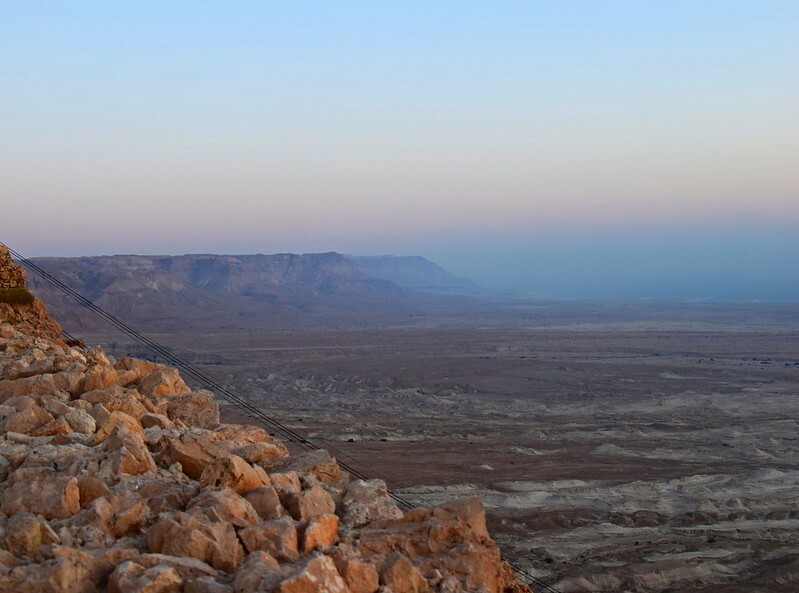 To reach the summit by sunrise, we left Jerusalem at 3:30 AM. 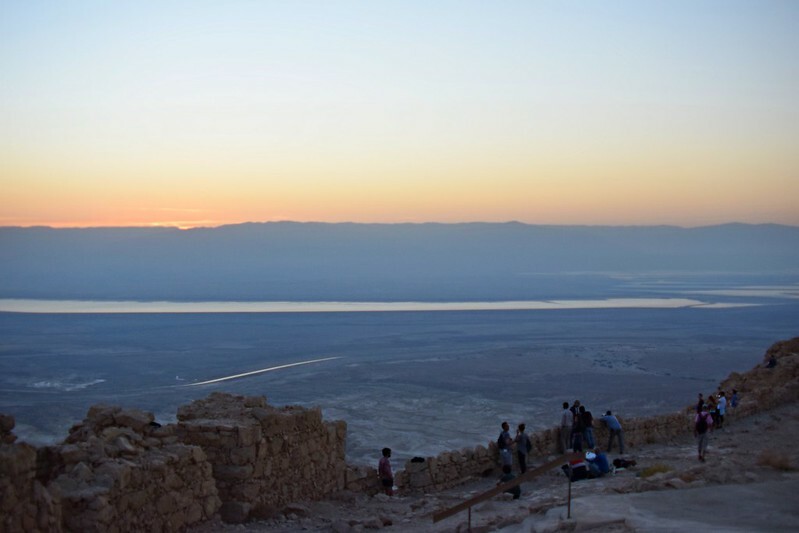 We reached the Masada at 5 AM, and it took us 45 minutes to climb to the top. 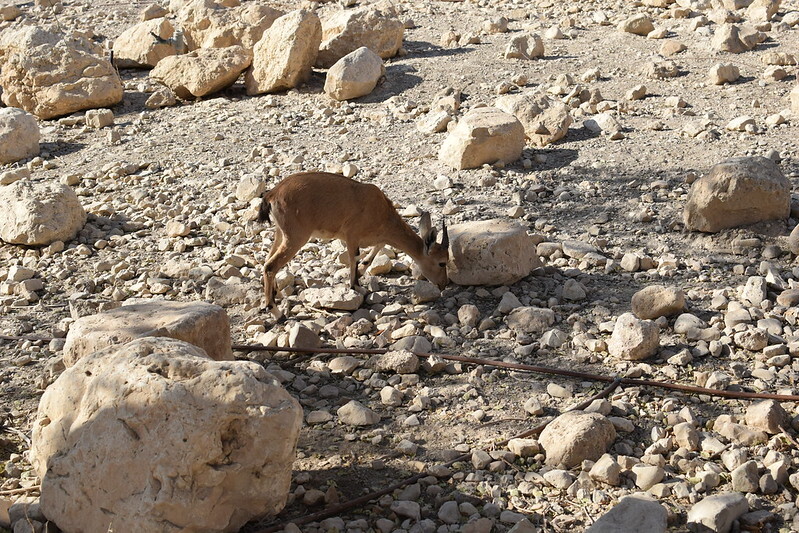 I met a girl from Australia on my hike to the top. 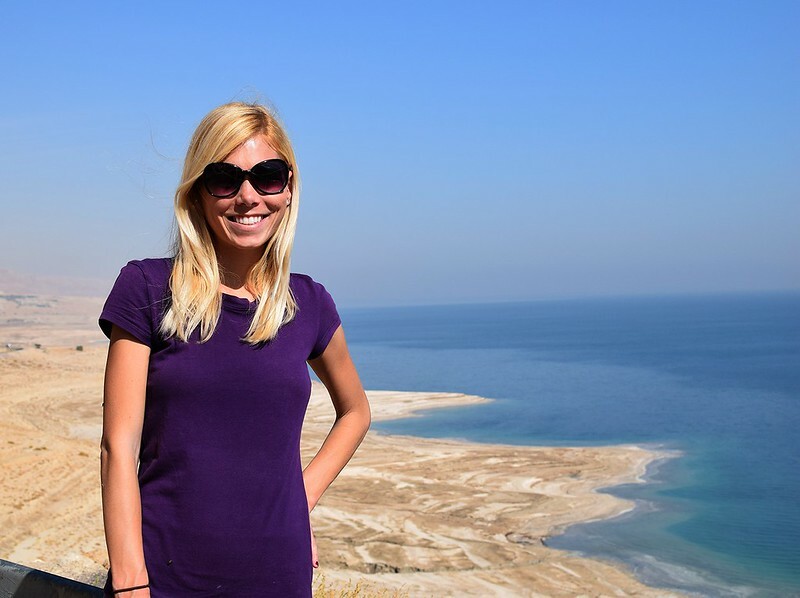 She had just left her current job and long-term relationship, and was hoping to use travel as a time for self-reflection, to gain a bit of perspective on her life. I give her big kudos for making this journey. It’s important to be happy in life, and also brave enough to take drastic measures when you know your situation doesn’t satisfy your needs. 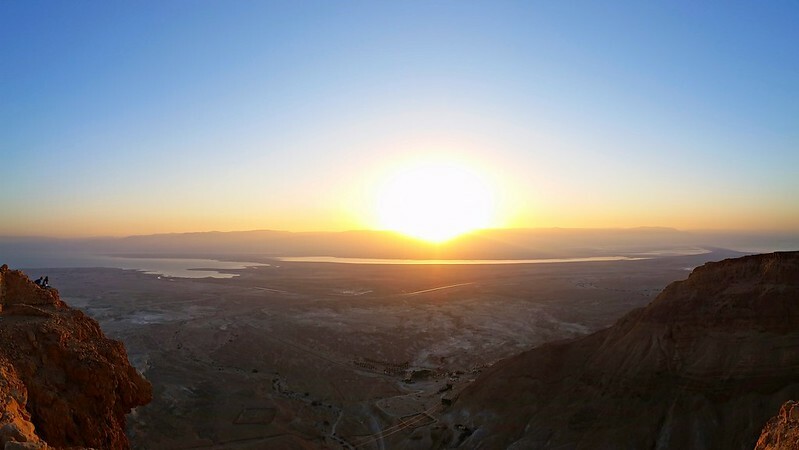 Anyway, when we reached the plateau of the Masada we branched off to find our own personal spot to enjoy this spectacular sunrise. 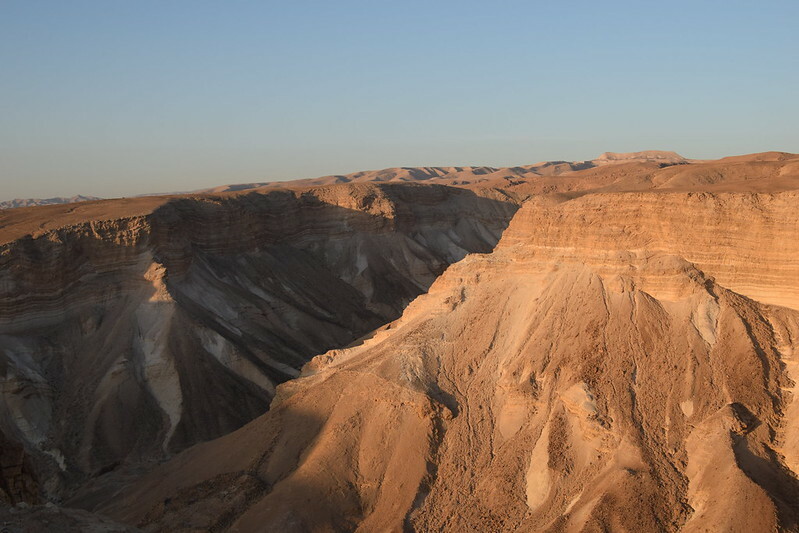 From the plateau, I could see the majestic desert cliffs and the shallow pools formed by the Dead Sea. True bliss! 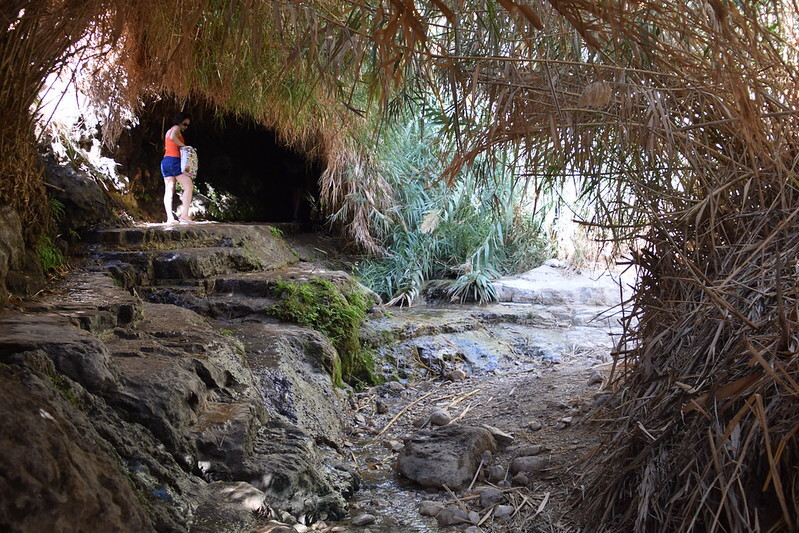 From the Masada, we went to Ein Gedi, a national park, nature reserve, and famed oasis spa. 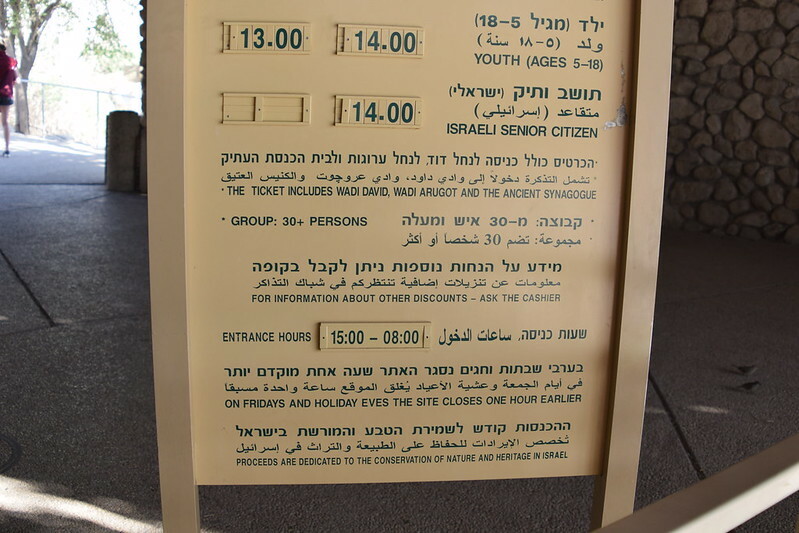 The hours of the park are displayed from right to left, since that is how Hebrew is written. 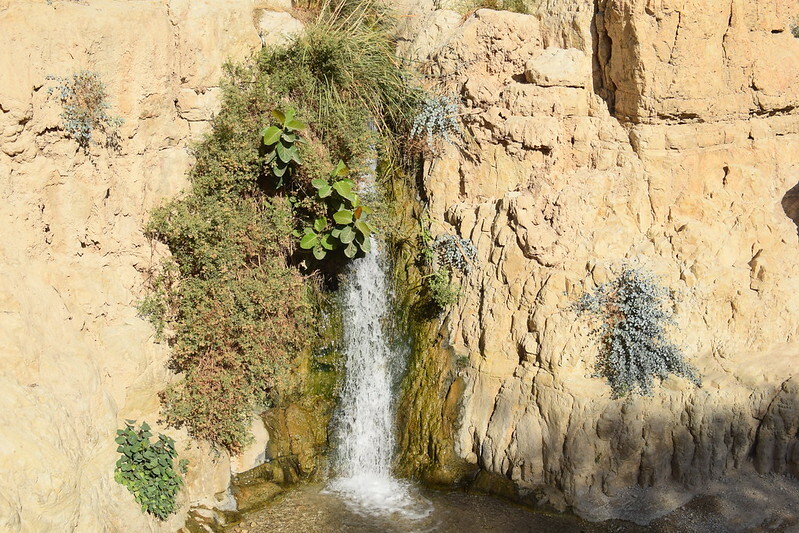 In contrast to the barren desert surroundings, Ein Gedi is home to two natural springs and bursts of green vegetation. 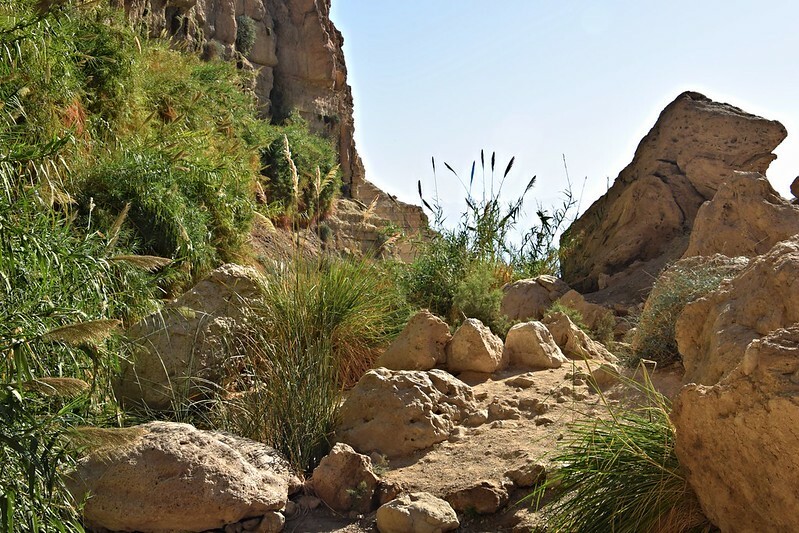 Our group was able to hike along the paths, admiring the desert plants and the resident Nubian ibex, which migrated here from Africa many years ago. 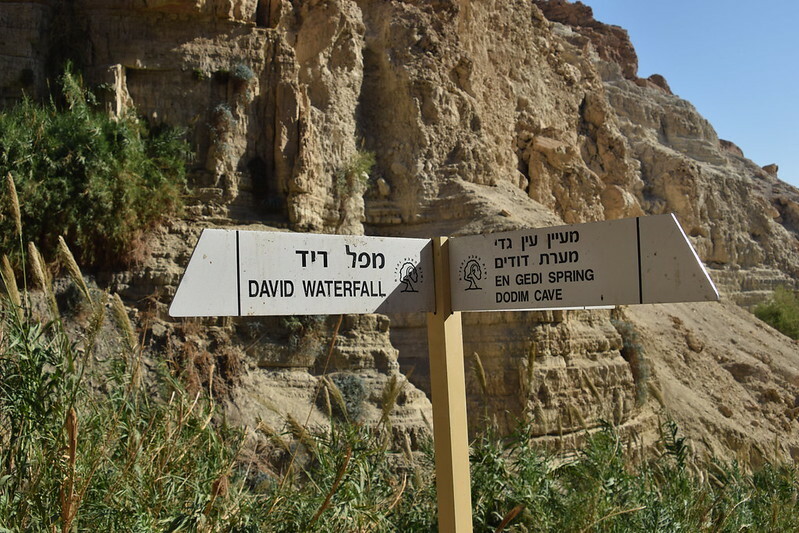 David’s Waterfall is the park’s highest, and is surrounded by soft carved rock, Mediterranean trees, and overlooks the endless blue sea. 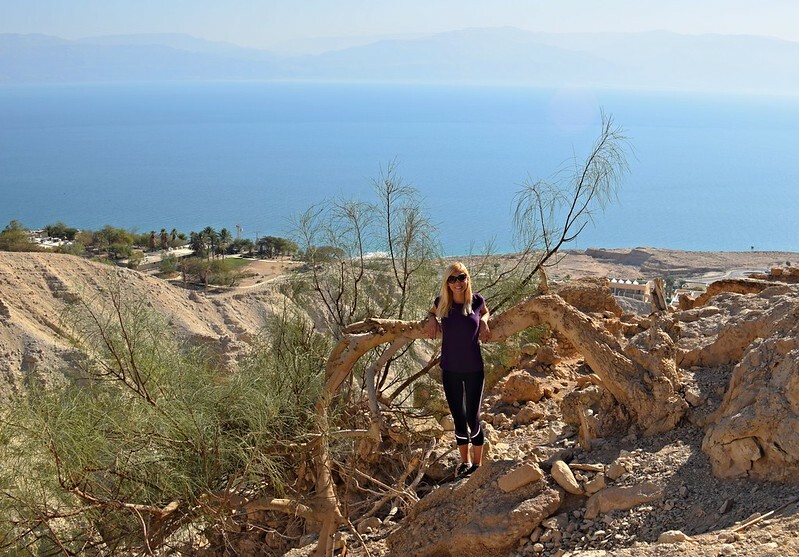 After all that hiking, our calf muscles were sore, and we were all ready to lazily float in the Dead Sea. 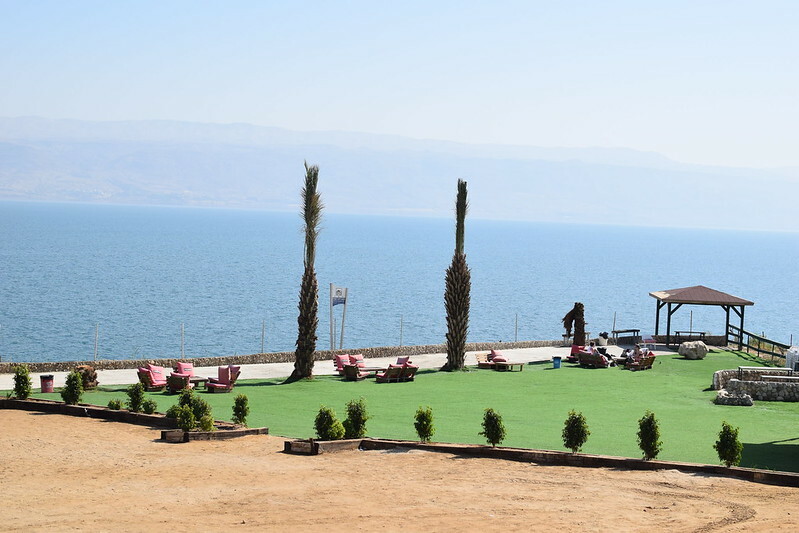 The Dead Sea is a wonder of the natural world. 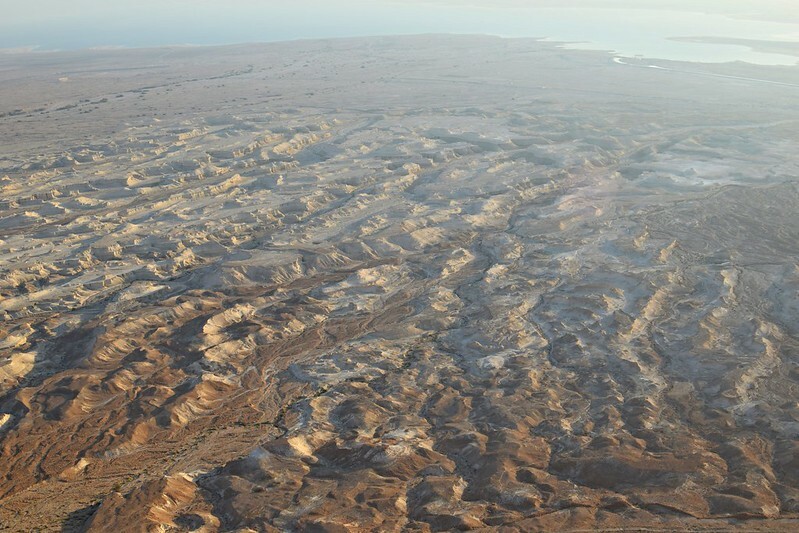 The sea has a salinity of 35% and the rocks of salt literally form along the sea banks. 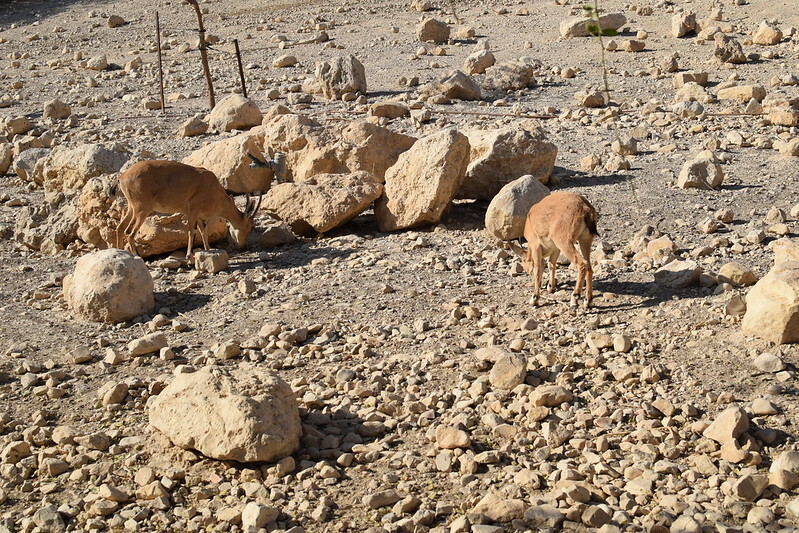 The banks of the sea are located 400m below sea level, the lowest point on dry land. 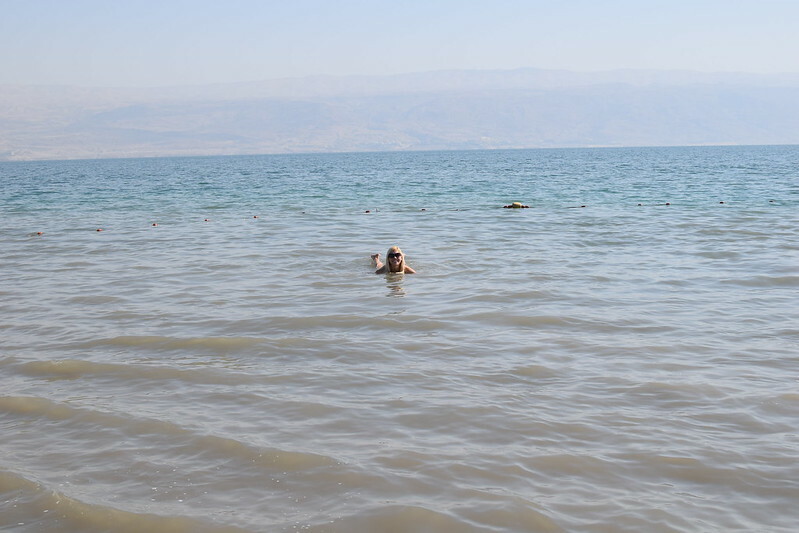 Because of its high salinity, people literally float at the surface of the water. 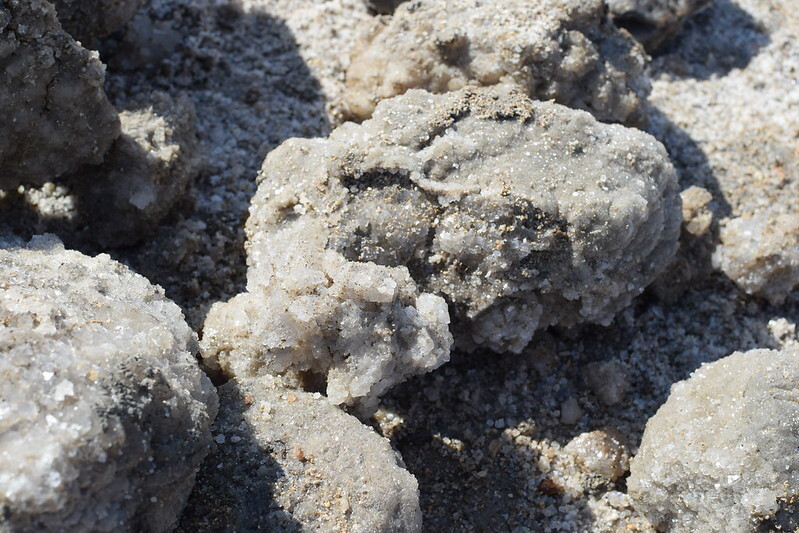 The saltwater and muddy sea bottom is loaded with minerals too, which makes it a natural skin care treatment. 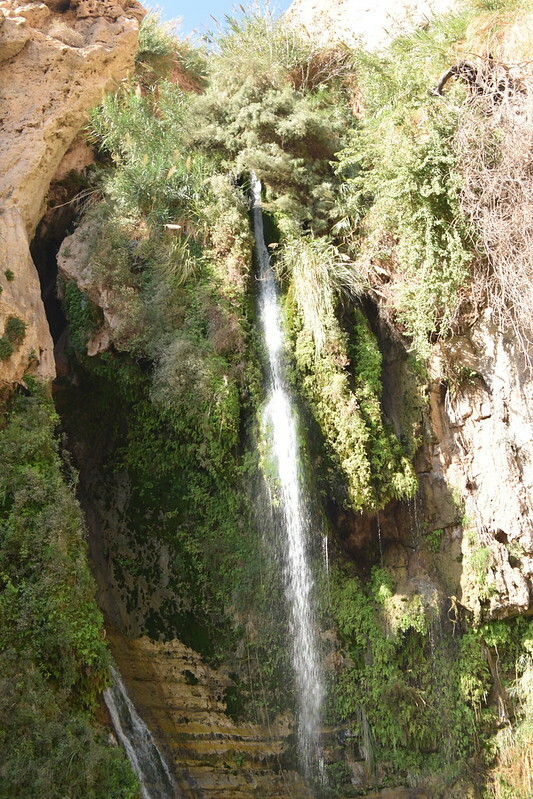 Cleopatra was known for frequenting the pools to maintain her youth and vitality. 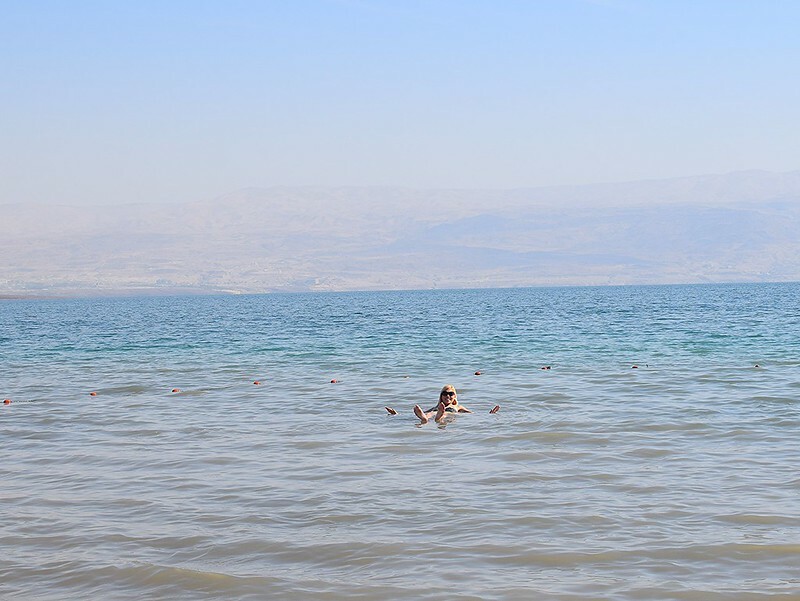 Currently, the Dead Sea is in danger. 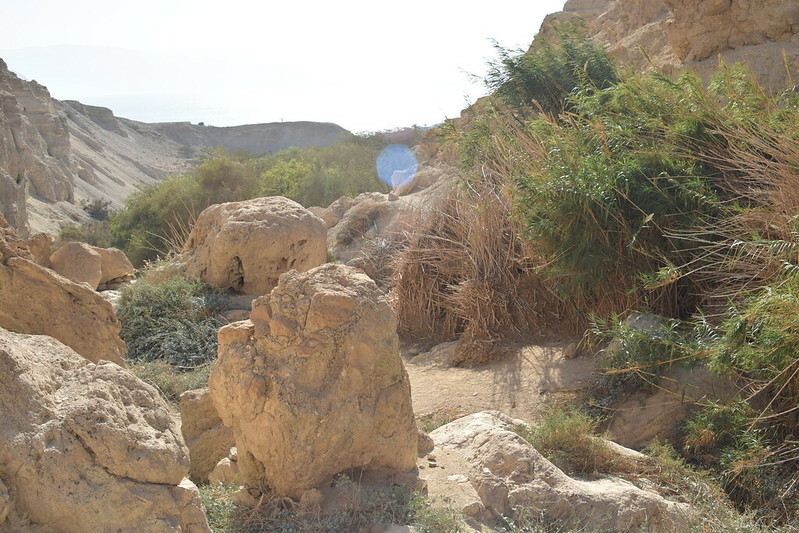 As our guide explained, it is rapidly evaporating at a rate much higher than expected. 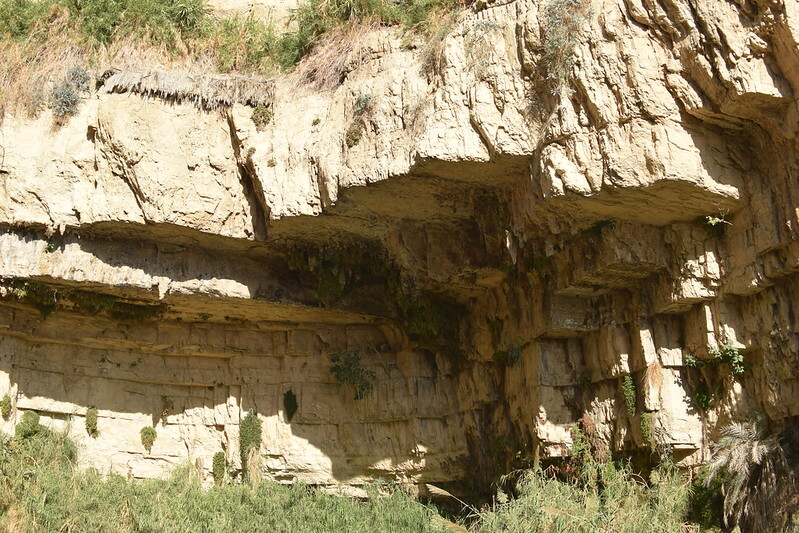 And as the saltwater level decreases, fresh water recedes into these pools, causing them to collapse without warning and form a giant sinkhole. 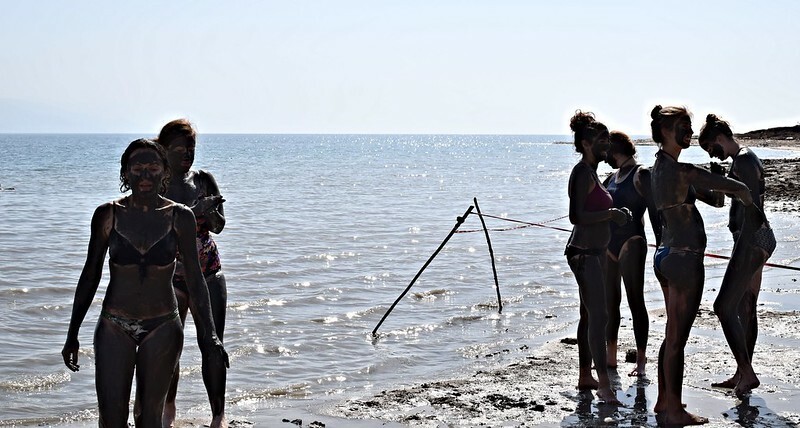 😮 This is a danger to visitors, which is why many public beaches have been forced to close down. 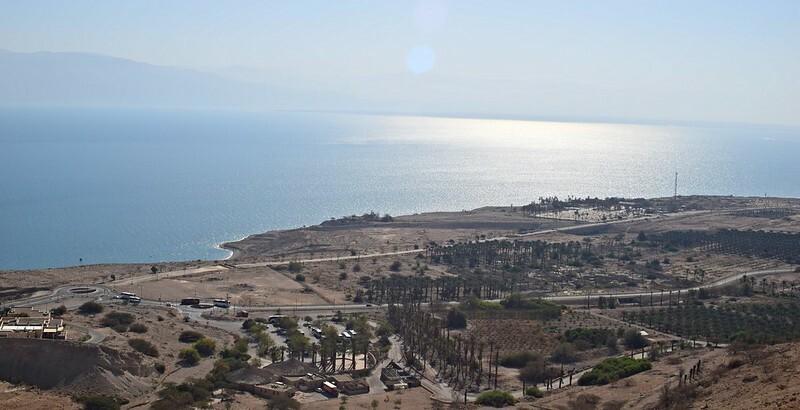 The Dead Sea shrinkage is mainly human-induced, so hopefully efforts will be made to stop draining the sea. 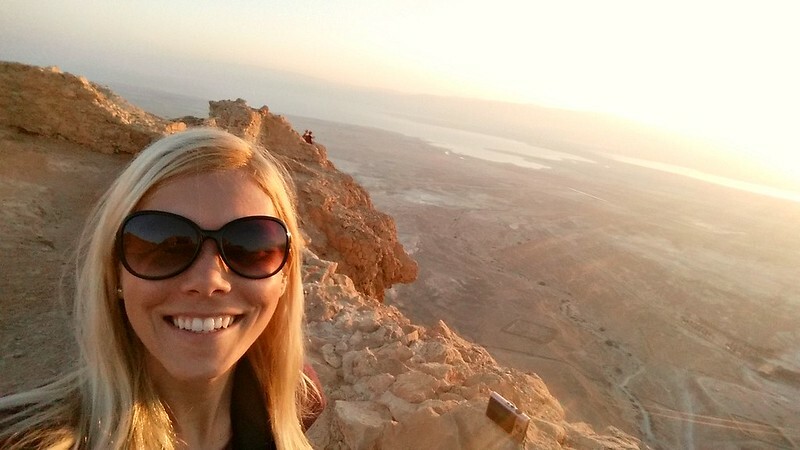 Cost: The tour was about 65 USD, plus an additional 15 USD for admission to Masada and Ein Gedi National Park. 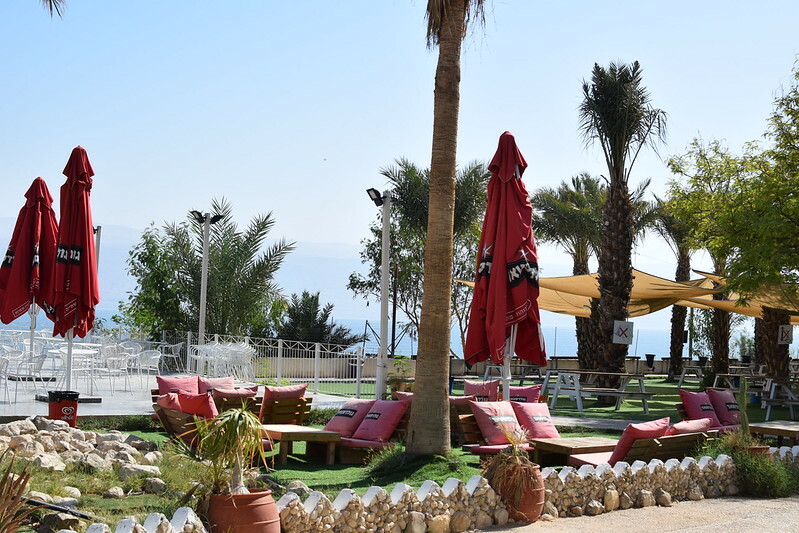 The tour included transportation and spa club admission, plus booking through my hostel gave me one night of free accommodation, valued at 20 USD. This tour is affordable and sounds like a good option!